Does your current dog sleep situation involve sharing a bed together or are you just thinking about it? More on the benefits and drawbacks here! 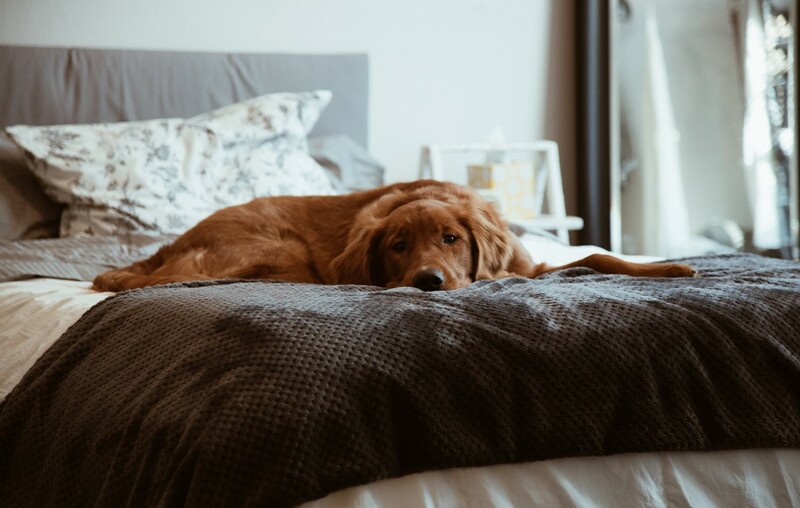 Does your dog sleep in bed with you at night or are you on the fence about making bed sharing your new sleeping situation? Research has shown that slightly less than one-half of all pet owners share their bed or bedroom with their pet. Let’s examine what kind of impact this decision can have on your sleep by breaking down the positives and negatives surrounding co-sleeping with your canine companion. – In a study of 150 participants suffering from sleep disorders, 25 percent allowed pets in the bedroom. About half perceived their pets as unobtrusive or beneficial to their ability to sleep. – Caring for pets helps people get out of bed and keep them on a consistent waking schedule. Plus, it gets you exercise which helps with falling asleep at night. – Pets can bring comfort and security to those who sleep without a human partner. – Pets can give their owners a psychological boost. Our furry friends give us companionship, decrease loneliness, improve mood, reduce depression, give us purpose, and distract us from worries. – Dogs may disturb your sleep due to human/pet core body temperature differences and the different sleep-wake cycles of humans and dogs. Canines are polyphasic sleepers and average three sleep/wake cycles per nighttime hour, while humans are monophasic sleepers (one period of sleep over a 24-hour cycle). – Pets can be noisy bed partners. In a 2002 study, 53 percent of the participants who slept with a pet in the bedroom considered their sleep to be disturbed most nights. 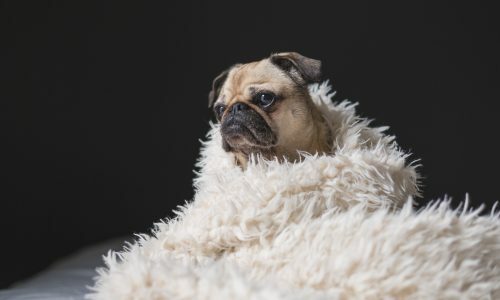 The most common cause of disturbance dog owners in the study identified was that the pet snored. – Human allergies can be aggravated by bed-sharing with a pet. – Bringing your buddy into bed may delay you falling asleep by several minutes. If you’d like to see if you and your pup can successfully sleep beside each other, test it out for a few nights and see if it works. Try your best not to condition your pet to sleep with you if you are in anyway unsure. After a couple of nights, you should have a clear idea if this arrangement will work. You may want to experiment with dog sleep music if you’re determined to co-sleep with your furbaby. “A few studies have been done specifically in dogs and other companion animals that support the beneficial effects of certain music on these species,” explains Dr. Mark Verdino, DVM, senior vice president and chief of veterinary staff at North Shore Animal League America. Listen to one example of dog sleep music below! While researchers work to better understand what playing certain types of music can do for canines, we do know that relaxing sounds and music do affect physiological processes in the autonomic system. Dogs seem to relax when exposed to music with a tempo of 50-60 beats per minute. Think classical music, reggae, and some types of soft rock. “Classical music with a single instrument at a slower tempo has been especially shown to produced relaxed behaviors in dogs,” Dr. Cornelius adds. 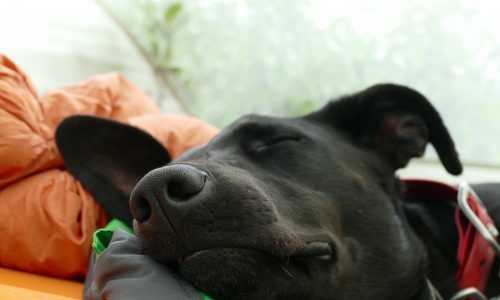 Check out some more types of dog sleep music here and share this information with other pet owners!